For our Honeymoon we knew we wanted to experience something completely different to anywhere we’d been before. When deciding which islands to see during our trip around Indonesia, there were just so many to decide from. Each island is very different from the next, and with 922 inhabited islands there is a lot to see! 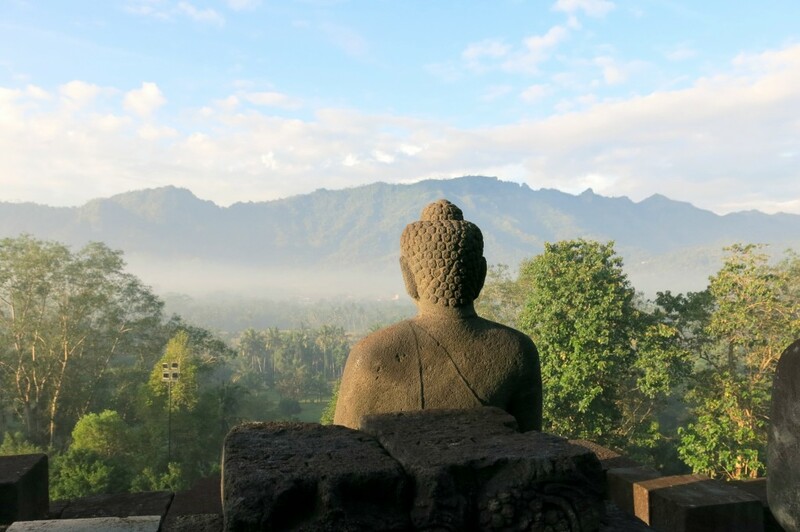 We decided on Java to see the beautiful temples of Prambanan and Borobudur, to spend the majority of our time in Bali and also head to Flores to see the Komodo dragons – the only place on the plant where they are found! There is just SO MUCH else to see in Indonesia, we barely touched the surface, even just on the islands we did visit let alone the ones we didn’t make it to. I very much hope that one day I can go back on a longer trip. Arriving in Yogyakarta, it instantly felt very different from Singapore. 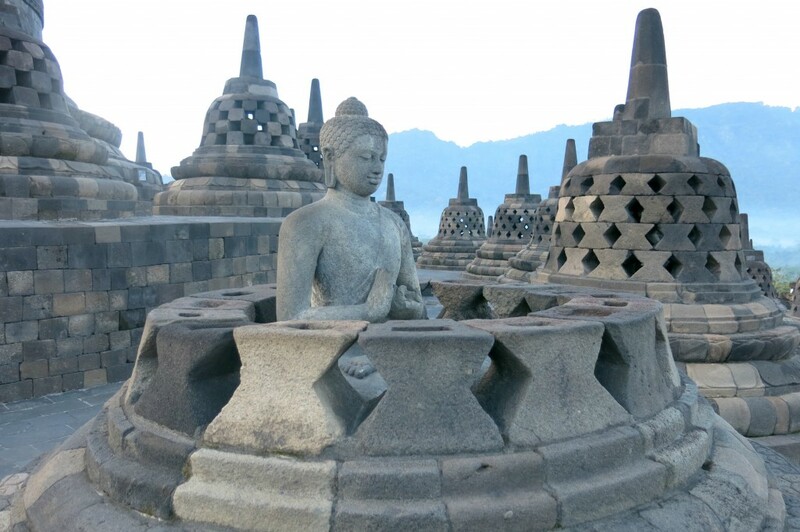 The city if full of culture and art, some say its the cultural capital of Java. 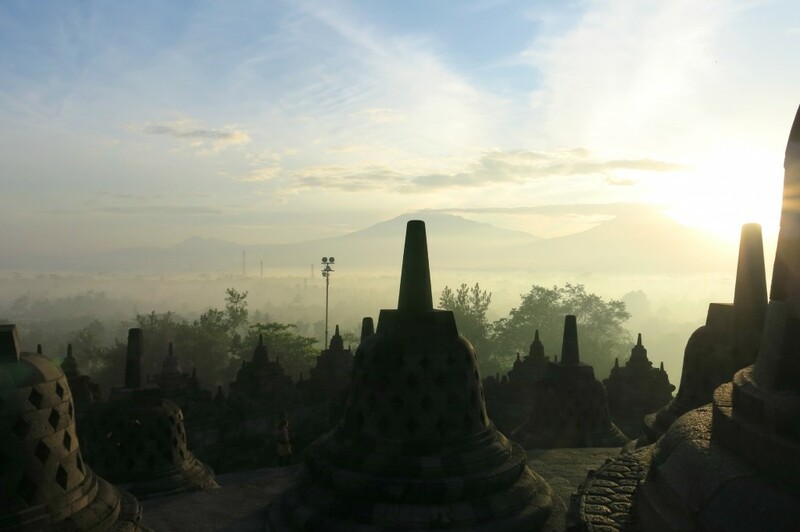 Despite Indonesia being largely an Islamic nation today, Yogyakarta is home to Borobudur and Prambanan, both amongst the largest Buddhist and Hindu temples in the world. This is what we were here to see. 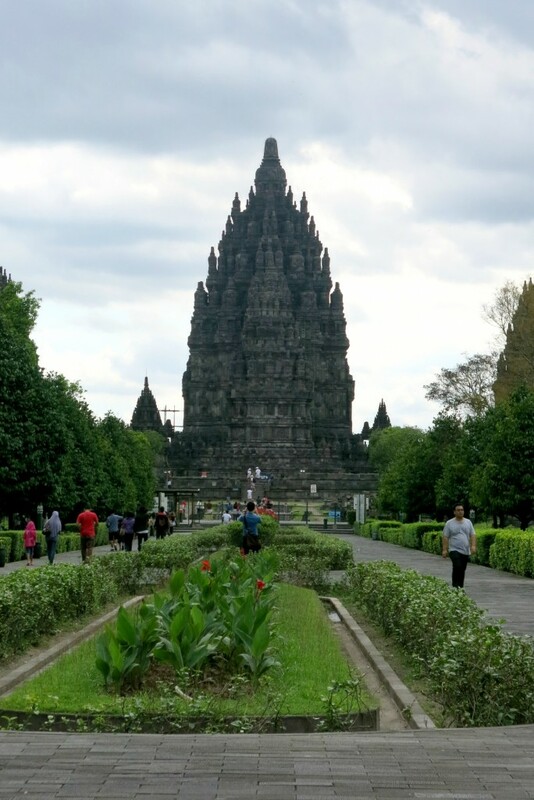 We had organised a driver through our hotel to take us to Prambanan whilst on the drive from the airport to the hotel. Which worked perfectly as it’s half way between the two. 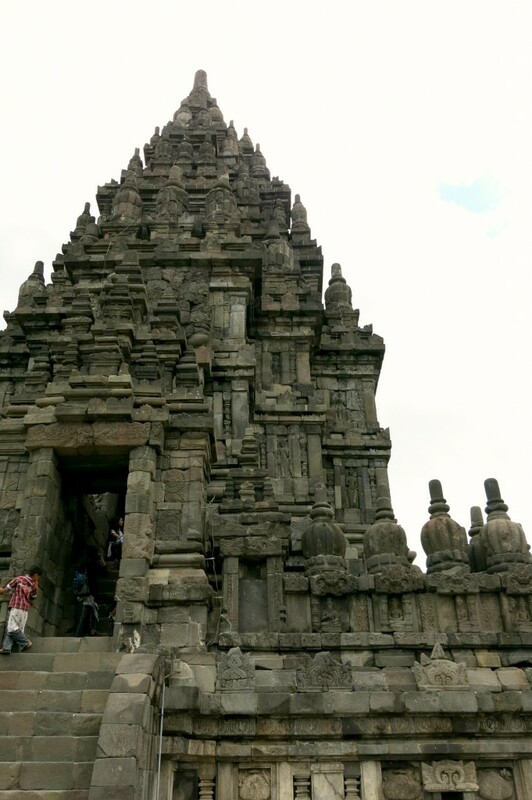 Prambanan is 9th-century Hindu temple compound just outside of Yogyakarta. It is dedicated to the Trimurti, the expression of God as the Creator (Brahma), the Preserver (Vishnu) and the Destroyer (Shiva). 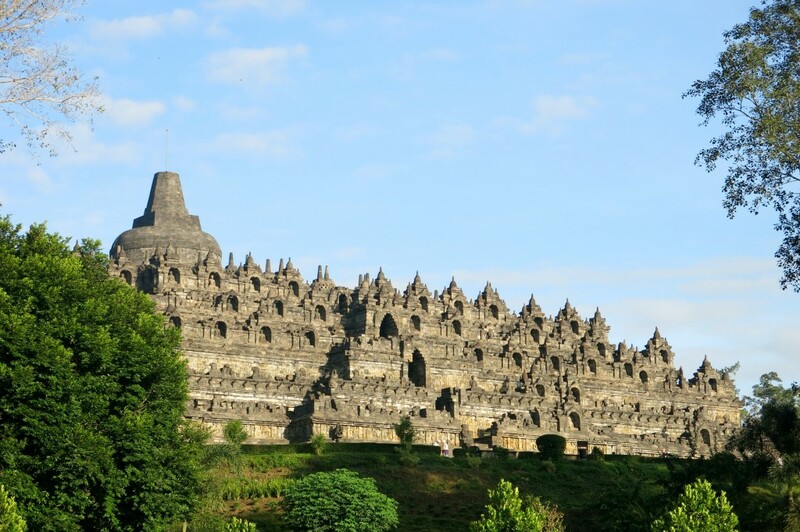 It’s the largest Hindu temple in Indonesia, and one of the biggest in Southeast Asia. We paid for a guide to show us around and talk us through the history of the temple. It was so interesting to hear about the importance of the site to different people over hundreds of years. 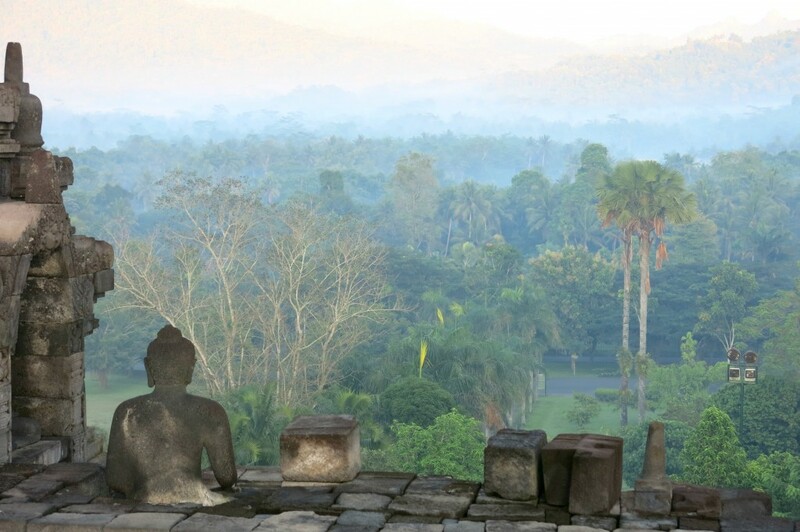 You don’t need a lot of time here to take it all in, so if you are heading to Borobudour or have time in Yogyakarta you should definitely make the visit. 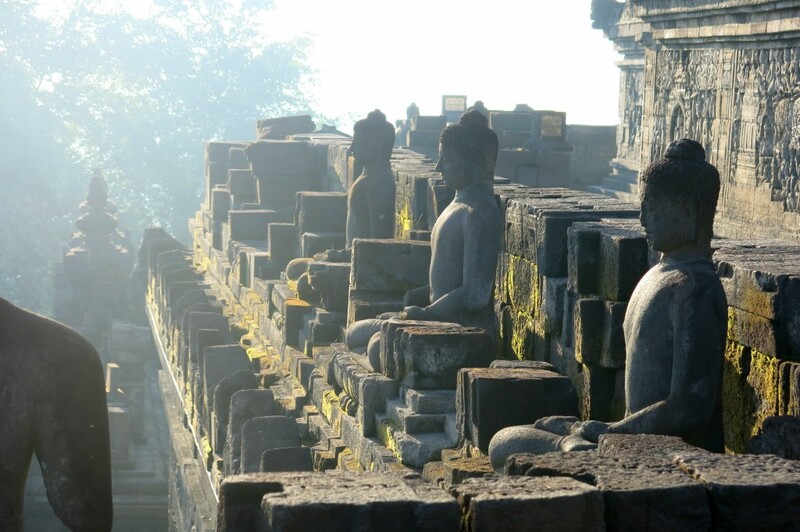 Dating from the 8th and 9th centuries, Borobudur is the worlds largest Buddhist temple. It was built in three tiers: a pyramidal base with five concentric square terraces, the trunk of a cone with three circular platforms and, at the top, a monumental stupa. It is beautifully intricate. 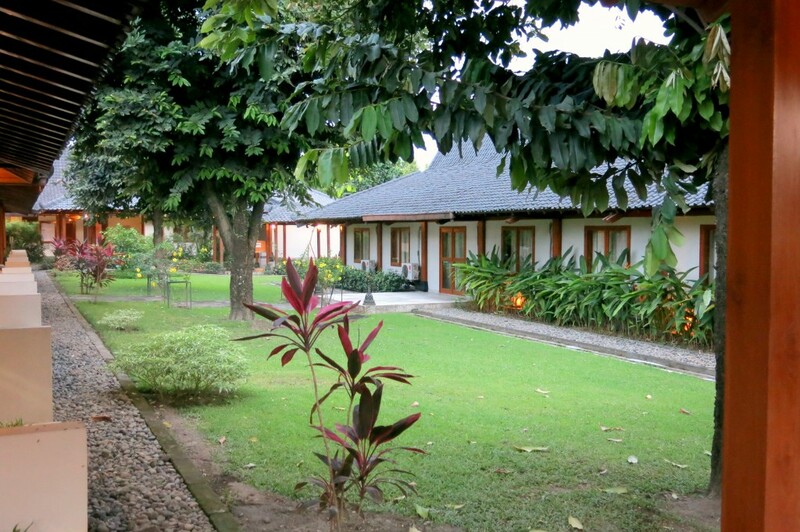 We spent two nights at the Manohara Borobudur. We booked this hotel because it’s at the base of the temple and we wanted to watch the sunrise there so it’s very well situated. It was a lovely hotel: the bed was just massive and our room opened out onto a patio where we could listen to all the birds in the lush gardens and just peek Borobudur. There is not much in the town but the restaurant in the hotel does a great range of food. Some of it is a bit hit and miss, mainly where it offers western food. The Indonesian dishes were good. It’s in a perfect location, has brilliant staff and great bedrooms. We were up at 4:30 for the sunrise tour! Very very early but totally worth it. The one we booked wasn’t exactly a tour but you get taken up in the pitch black by a guide and then you watch the sun rise and take it all in. Because you have access before it opens to the public it costs a little more than standard entry. But in my opinion, totally worth it. It was so peaceful and calming – as the sun was rising, there was call to prayer and the mist was evaporating over the trees and it was beautiful. The sun shone across the temple and through the domes and Buddha statues. All I could keep thinking was, this was built over a thousand years ago and it’s still standing and look how beautiful it is. 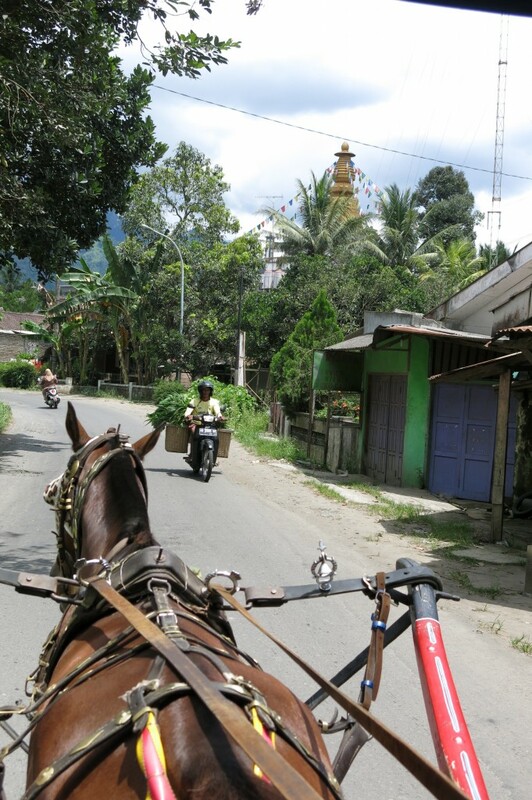 After the early start we had a little nap and then went out on a horse and cart around the local village. We got chatting away and were told about the different food and household items produced in the village. 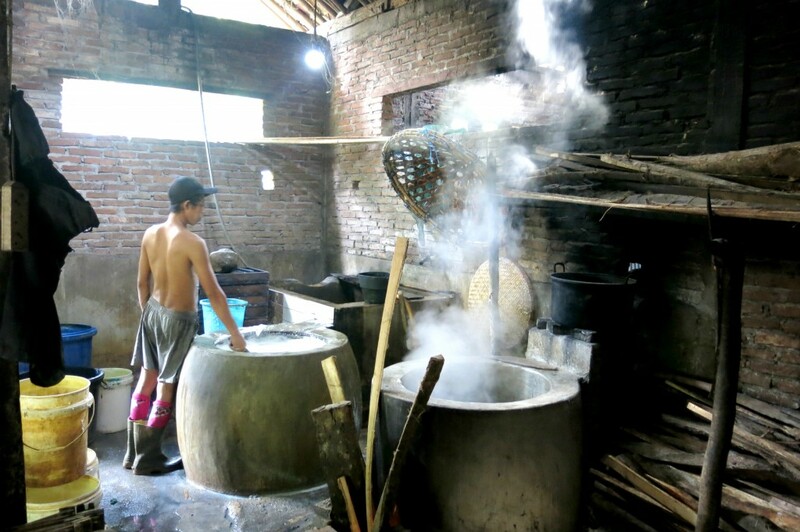 We were taken to a small tofu ‘factory’, in fact it was three people producing tofu in one room. Probably the funniest moment of our holiday was when we were offered some raw tofu to taste… honestly, neither D or I are big fans when its in a dish let alone raw!! It’s still pretty wet at this stage. They sliced some up for us and poured some salt and fresh chopped chilli to dip with. It was definitely an acquired taste, and a little hard to eat the whole plate full! I knew how much D hated it so it was hard not to crack a smile. But we finished it nonetheless and thanked them! We were also taken to a local ceramic workshop where we met the friendliest lady who let us have a go at making some pieces. All I could hear in my head was – ‘hello, is it me you’re looking for?’ Haha. 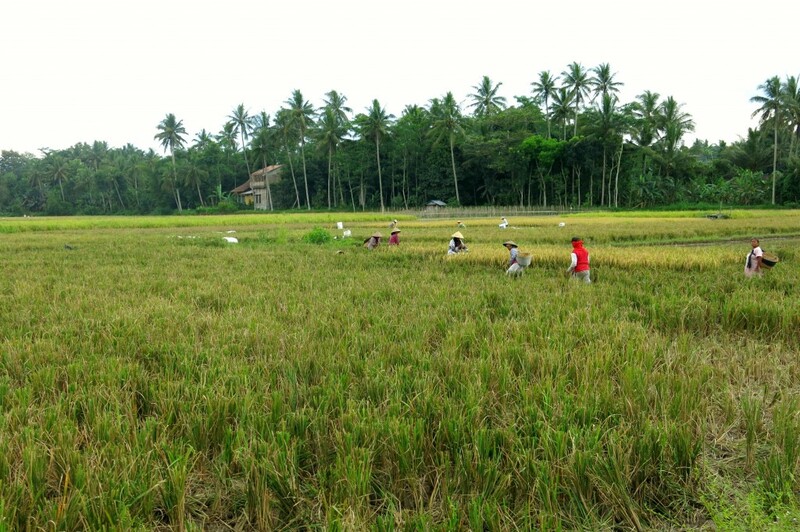 Our little tour took us through the rice fields and back to the hotel. It was such a fun afternoon, everyone was so friendly and happy to chat with us. Home suddenly felt a million miles away, in a good way. The next day we were off to Bali! Beautiful photos – highly envious! Completely relate to your distaste for the raw tofu – it’s so grim! Thank you! It was a wonderful place, hope to return one day! 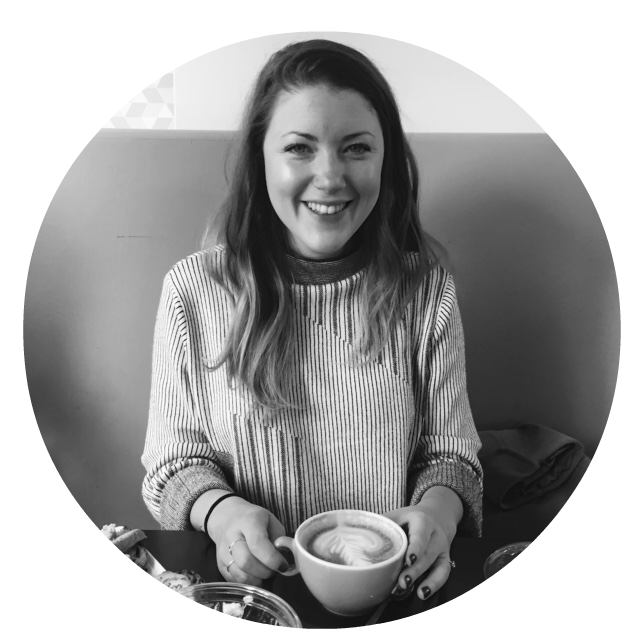 It’s awful – felt bad not eating though so we just kept drinking water in between! It really was so beautiful! Oh wow! This place looks incredible!! I’m very envious! Happy Honeymoon!